The VisWiz.io Github app verifies commits in pull requests of Github repositories. 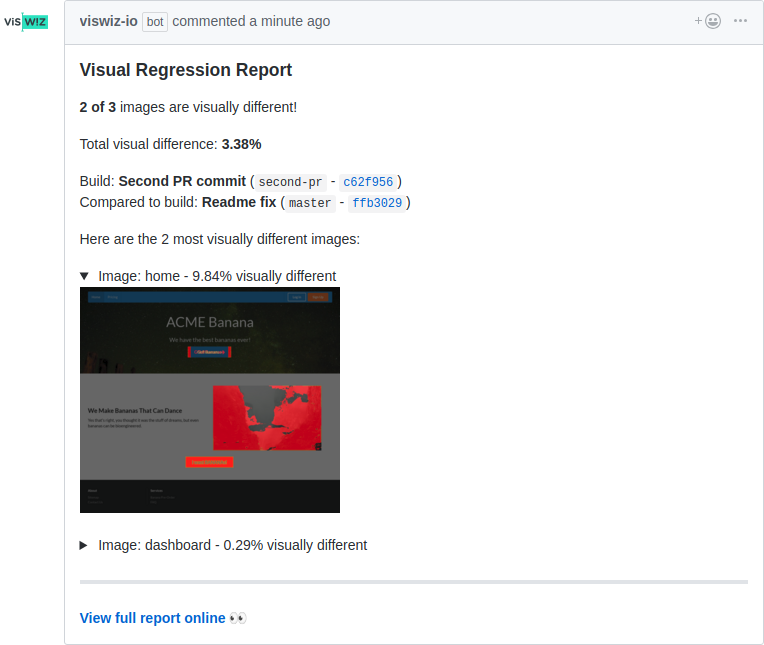 It updates the correct commit status and posts a descriptive comment with a summary of the visual regression testing for the changes in the pull request. Before configuring the Github app, create your project inside VisWiz.io by following our getting started guide. After you add your project with the correct Github URL as the URL for the project, you can continue to the next step. 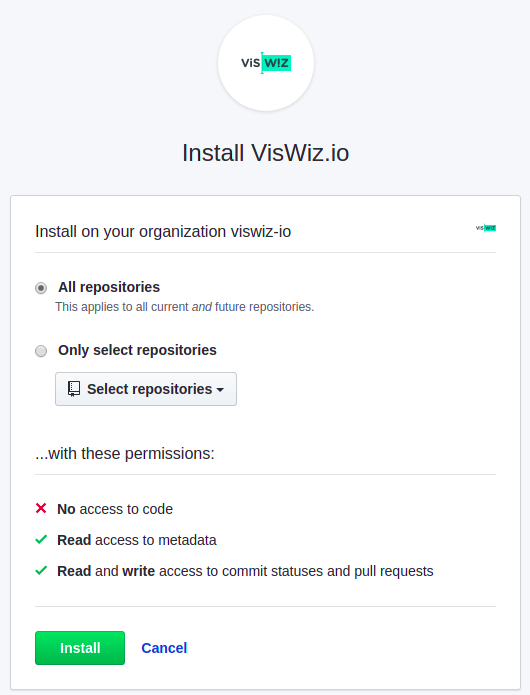 The VisWiz.io Github app can be installed and configured for your personal account or any organization you administrate. Remember that our Github app will never have access to the source code in your repositories. The app will only receive webhook notifications on new or updated pull requests.